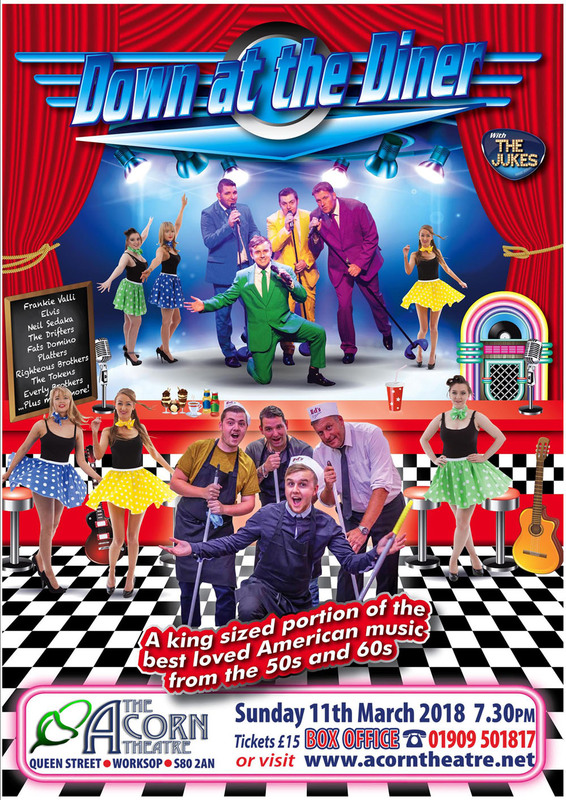 Join The Jukes down at the diner for a magical musical stage show featuring a king-sized portion of the best loved American music from the 50s and 60s! The story unfolds as four young guys reach the end of abusy day in a 50s diner. Listening to the Jukebox over milkshakes and ice-cold cokes, they discover their shared passion for music and sing and dream of becoming stars. But will they ever cross the pond, find stardom and make it big? This spectacular, colourful show is packed with hits from Elvis, Neil Sedaka, The Drifters, Fats Domino, Platters, TheTokens, Frankie Valli plus many more! Filled with fabulous song, dance and music, you’ll be shouting for more and wanting seconds!